The Taggiasca olives in brine is a typical product of the Ligurian tradition. 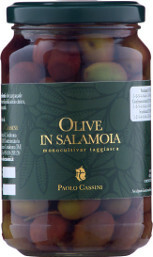 At our mill in ..., we carefully select the olives and put them in brine, a solution of water and salt. 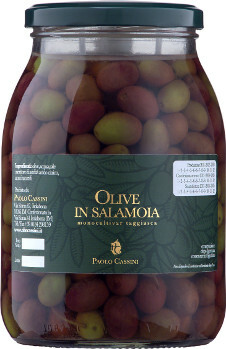 The Taggiasca olive in brine Cassini has unique characteristics that differentiate it from all other table olives. It looks pretty small, delicate flavor and light to medium bitterness. In the kitchen is essential in the preparation of sauces, second courses of meat and fish. It enriches the salads and is the best in the accompanying appetizers.